Hello and welcome to design-birdy.com Today we would like to share with you an article with a step by step video tutorial about crocheting the baby flower dress that is shown on the photos. 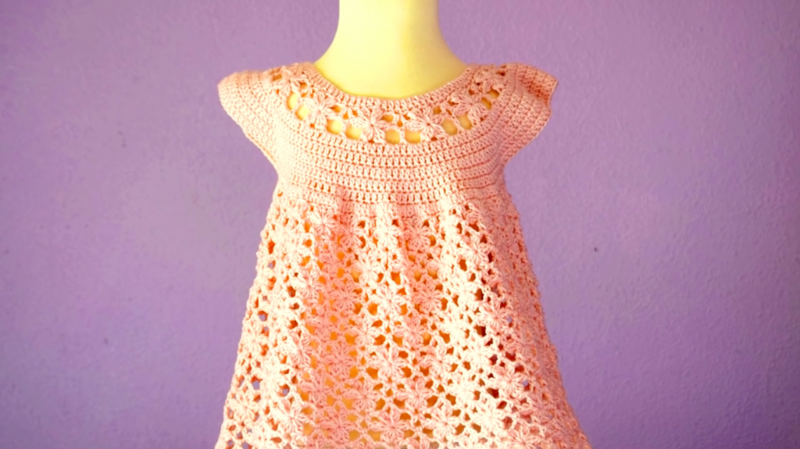 I love the crochet dress projects specially when they are related to babies. 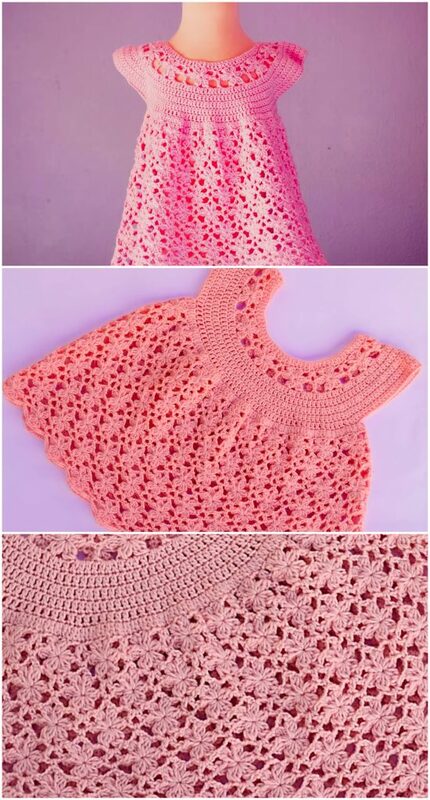 This is a kind of crochet projects that will help you have a great time while working on it. So view the instructions grab the yarn and the hook and start crocheting. The video tutorial that is presented in the article is great, it includes everything we need to know to get to the right result, the result that will be amazing not only for you but for everyone who sees the finished crochet baby flower dress. As you can see on the photos there are several colored dresses shown there, so that means that you are free to choose the color you want your dress to be. The techniques and stitches that are used for crocheting the flower baby dress might and will be very useful for your future and upcoming crochet project.